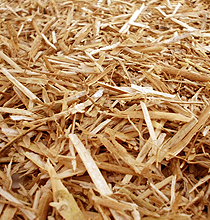 The use of chopped straw has become an integral part of modern veal production. In addition to milk feeding for young calves, the provision of dry feed plays an important role in the calf's development. Depending on the pace of development, milk feeding is discontinued at 8 to 12 weeks and the calf becomes wholly reliant on roughage and concentrates for its energy and protein supply. Because much of this energy and protein comes from the rumen, rapid and effective rumen development is crucial. This is where roughage plays a vital role. Straw has beneficial effects on rumen development in calves. Good rumen function leads to stronger calves and better utilisation of nutrients. Chopped wheat straw is a 100% natural product made from selected wheat straw. 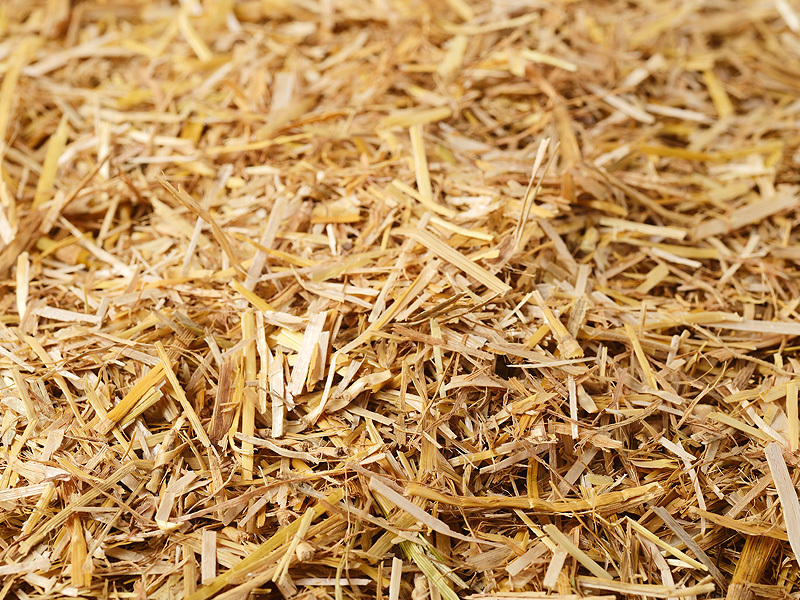 In the production process, the straw is chopped into 4-5 cm lengths, dust is extracted and the finished product is packaged into bales weighing approx. 20 kg. Chopped wheat straw is an ideal source of fibre for white and rosé veal calves. For optimum growth, veal calves benefit from an adequate supply of fibre during rearing and finishing. Packaged in plastic bales to guarantee freshness, 42/48 bales per pallet, stretch wrapped, suitable for outdoor storage.